Lydford is an interesting stop on a touring holiday or a peaceful short break in an appealing Devon village on the River Lyd. The Dartmoor side of the A386 near Okehampton. 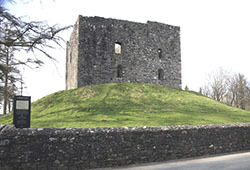 The remains of a Norman castle can be seen in the village at any time. It is a beautiful site. When it was built the castle was placed so that the whole area could be kept an eye on. Run by English Heritage it is free and there is a car park. Dogs are allowed on a lead. There is no shop or cafe on site. © Copyright Rob Wilcox and licensed for reuse under this Creative Commons Licence. Looked after by The National Trust, there is a shop and tearoom with this one. A stop for a cuppa is always welcome, but doubly so here! The walk down the gorge is strenuous but amazing with the 100 foot White Lady Waterfall and the Devil's Cauldron of whirlpools. It is the deepest gorge in south west England. Walking boot country. 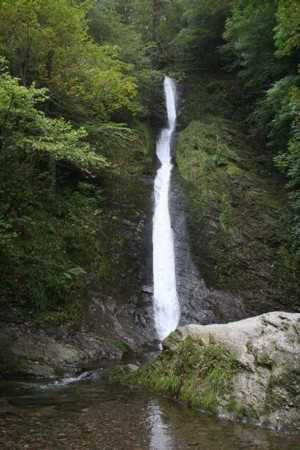 Rugged, slippery in places and vertical drops. WOW – what a place! Not the best place for dogs, children or folk with heart complaints! 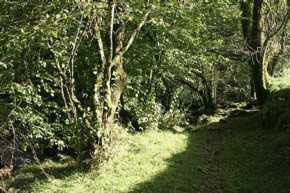 Starts in the village, the Granite Way is a walking and cycle way to Okehampton. 11 miles, mostly off road and stunning. Worth bringing the bike or walking boots and camera. The site for the filming of ”The Hound of the Baskerville's Conan Doyle's creepy novel set on Dartmoor. The book has been filmed several times, this was the 1980 version. Accommodation is available at the Fox & Hounds Hotel Lydford, Bridestowe, which has been owned by the same folk for over thirty years. Ideal access point for Dartmoor as there a walking track behind the hotel. There are also camping and caravan facilities. Even wheel chair access. There is also accommodation at the nearly 200 year old Lydford Country House, Lydford, set in eight acres of lovely grounds. Or check out the acommodation links in the right hand column of this page for some great ideas. It seems impossible to imagine nowadays that this attractive, quiet village with its moorland stone buildings, was before the Norman Conquest one of the most important places in England! The only place in Devon with more people than Exeter at the time. Evidence of this is also in the Doomsday Book where London and Lydford are taxed in the same way. All startling to modern eyes! Even now traces of that important past can be seen in the surprising size of the parish – at least 50,000 acres. The Manor was huge and involved the Forest of Dartmoor, which is still part of the manor. Was that old stagecoach road between Tavistock and Okehampton that went through the town part of an ancient highway that once perhaps King Alfred rode? Was the road an even earlier one? The village's importance began when King Alfred founded it as a burh in the second half of the 9th century. It was certainly already a settlement and probably had been for centuries. © Copyright Nigel Cox and licensed for reuse under this Creative Commons Licence. Click to enlarge the photo - read the intriguing 18C poem - thank you Nigel. The patron saint of the church – St Petrock – is a Celtic Saint living in the area in the 6th century. It was probably the name of the first church built around 650, or perhaps an even earlier one? Like many other places in the area,the village was Celtic before it was Saxon. During the reign of Ethelred the Unready 968-1016 the town's importance was acknowledged with the establishment of a mint there. Coins were marked with LVD, LVDA, LVDAN on them and made from silver mined in the area. The Saxon name for the town was Hlidaford or Hlilldan and refers to the most obvious feature of the village – the gorge and the fact that the river is completely hidden at the bridge. Hlid means quite simply – lid. The coins reflect the name of the village. They can be seen both in the British Museum and the museum at Exeter and have also been found in Denmark! In 997 Viking attacks up the Severn and up to the mouth of the Tamar eventually arrived in the town. Wholesale wastage, looting and burning took place. The original wooden Church of St Petrock was burned to the ground. The Norman Conquest spelled the end for the importance of the town. The Normans built castles to control the country and one was built here. The town was quite likely seen as a significant Saxon area and a threat to their rule. The Doomsday Book speaks of the wastage of forty houses since the Conquest – was this some defence of their homes or even Norman reprisals. The first castles were wooden structures, built quickly. Here it was no different. 1132 saw the second one of stone erected on the same strategic site. Its remains can still be seen, the English Heritage site mentioned above. In 1216 the castle was granted to William Briwere and became the Forest Courts of Dartmoor and a prison of the stannaries. The stannaries were where the white tin for coins was assessed and the coins sold, so were central to the area. The courts and the prisons, this one as well, were notorious for their summary justice. Lydford Prison was still being used in the 1800's and was not abandoned until that stark prison at Princeton on the Moor replaced it. The village was also one of the places that Hanging Judge Jeffreys pronounced his sentences at the Bloody Azzizes. He too must have sentenced people to hanging on Gibbett Hill. The church is Norman but there are Anglo Saxon features. The local population would have started to rebuild their church after 997. It has been enlarged again several times since. Today the bells still ring out for services and weddings. Lych Way is haunted! Ghostly tales of white monks and funeral processions abound, winding their wraithlike way along this ancient foopath. 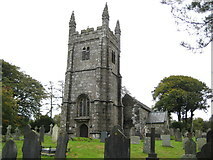 It leads from south west of Devil's Tor on the moor to Lydford Church. Here the dead were brought for a church burial from their isolated homes on the moor. Or you may prefer to browse some more, please do, you will find navigation buttons above on the left.